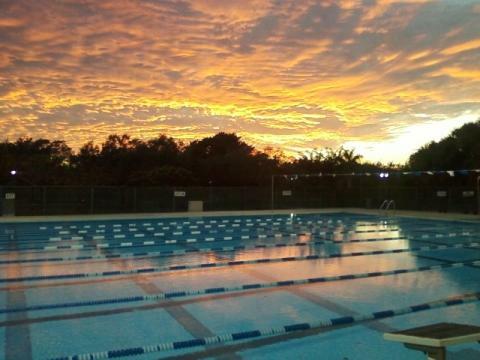 The Plantation Swim Team is a premier municipal swim team located in Plantation, Florida. Our Mission is to provide opportunity and encouragement to all team members, from the beginner to the seasoned Olympic athlete. Our year-round competitive swimming program will provide a top notch training atmosphere that will develop and grow integrity, discipline, teamwork, sportsmanship, health and fitness among our members and community. The swim team operates as a function of Plantation Parks and Recreation Department under the governing body of USA Swimming. Plantation Swim Team conducts training for all levels of development from Age Group to Masters. Plantation coaches have a long tradition of balanced, innovative leadership, excellence in their respect for individual responsibility and discipline, as well as sportsmanship, in an atmosphere of spirited teamwork. Parents are encouraged to be involved in many levels of team promotion and through volunteerism in the Plantation Swim Team Booster Club. Plantation Swim Team is revenue driven, and self supporting, contributing to the Department, the City and larger community through a swimming program with no equal. The team values its members, the departmental staff and tradition of community volunteerism. Practice Updates for Friday and Saturay!